A man hired to portray the Tin Man in "Wizard of Oz" author L. Frank Baum's upstate New York hometown was still in his character's makeup when his mug shot was taken after a drunken driving arrest. 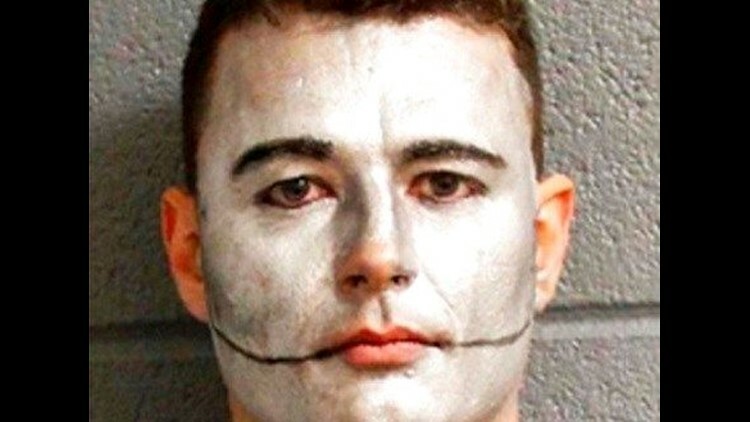 SULLIVAN, N.Y. (AP) — A man hired to portray the Tin Man in "Wizard of Oz" author L. Frank Baum's upstate New York hometown was still in his character's makeup when his mug shot was taken after a drunken driving arrest. State police say troopers responded Sunday to a report of an intoxicated man on private property in the Madison County town of Sullivan, just east of Syracuse. The homeowner says a man had driven to the home with another person and was asked to leave. Police say the 31-year-old driver, Nicholas Sherman, told troopers he had just left the Yellow Brick Road Casino in the nearby village of Chittenango, where he was hired to portray the Tin Man character from "The Wizard of Oz" during last weekend's Oz-Stravaganza event. Troopers say the man's blood-alcohol content was 0.19 percent, more than twice the legal limit for driving while intoxicated. Court officials didn't know if he has a lawyer.